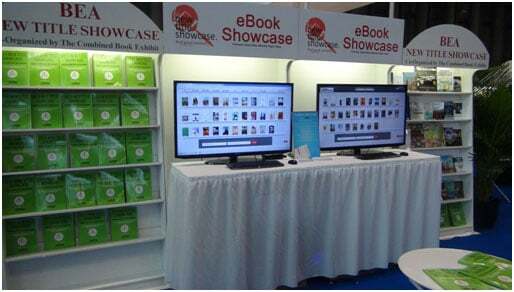 Showcase your Ebook on large monitors including sample pages at any of the worldwide book fairs we attend. We will also display your cover on a hard backing along side the print books on display. We will print the cover for you! Combined Book Exhibit (CBE) participates in only the major book fairs around the world. Shows include the Frankfurt International Book Fair in Germany and Book Expo/BookCon in New York City, American Library Association and many others. CBE provides many options for authors looking to display their books without having to travel to the show. CBE displays books and ebooks from large, small, or independent publishers as well as self-published authors. Displaying with CBE is simple! To register for one of our shows you simply follow the instructions on our registration page. You choose the show(s) you’d like to participate in and provide the necessary information about you and your book. 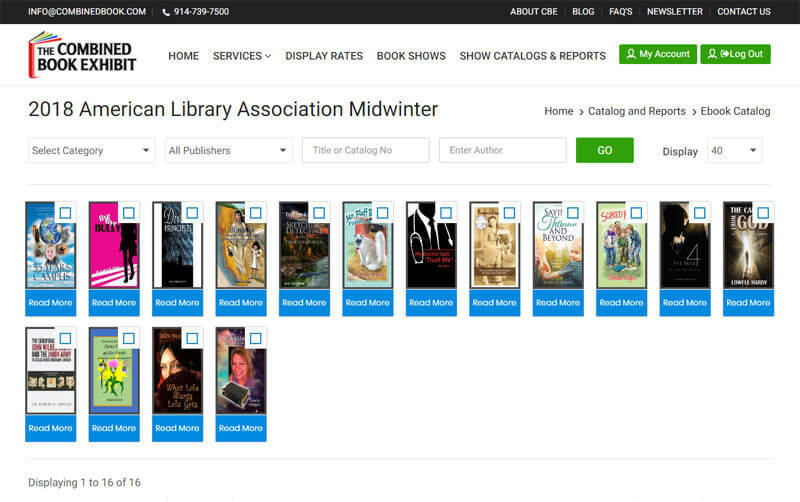 After you have completed the registration process, you receive instructions on where you should ship your book for display or email the pdf file of your book to show sample pages.. We do the rest! Each book in our display is numbered and has a corresponding listing in our catalog. Any attendees interested in ordering your books or contacting you will do so via the information you provide for the catalog during the registration process. If you need help with registration click here. Each book in our display is numbered and has a corresponding listing in our catalog. Any attendees interested in ordering your books or contacting you will do so via the information you provide for the catalog during the registration process.